Spot is directed by Oscar-winning Kevin Macdonald. Lexus has premiered an ad entirely scripted by artificial intelligence in what it believes is a world first. The 60-second film, "Driven by intuition", promotes next year's launch of the ES model and aims to showcase the idea that humans and machines can work together for a better driving experience. That principle was behind the AI approach, with Lexus exploring the idea that humans could collaborate with machines to create an ad that mimics the ES model’s intuitive driving experience. Oscar- and Bafta-winning director Kevin Macdonald, who shot films including The Last King of Scotland and Whitney, was brought on board to direct the AI script. Premiering at Social Media Week in London today (15 November), the film will be released across digital, social and cinema across Europe on Monday (19 November). The spot opens with an ES model in the lab with its creator, who is shedding tears as the car leaves, before it is pictured being prepared for a crash test. A beating heart soundtrack adds suspence until, ultimately, the car escapes the crash test. Macdonald said: "We were all really surprised with what came out. There is a sort of dream logic to it." The storyline and script have been wholly created from an AI programme, built by tech company Visual Voice in collaboration with The & Partnership London, along with support from the IBM Watson suite of AI tools and applications. Production was by Carnage Films. The production process involved developing the bespoke AI and "training" it with data including 15 years of award-winning luxury ads, emotional intelligence about what connects most strongly with viewers and specially commissioned information about human intuition. Michael Tripp, general manager for the Lexus brand, questioned whether the tech is "scalable", but said Lexus sees it as an "enabler to make informed decisions". "This is a pilot for us," said Tripp. "The beauty is using what we have learned and applying it going forwards. "We long for a personalised experience and we think this is the potential of AI: to inform decisions about what we add to the creative mix and how we serve the creative up in the media. "This is why we think it is so valuable in a comms role." Lexus is no stranger to innovative tech. In 2015, it launched an online ad featuring skateboarder Ross McGouran jumping over one of its cars on a hoverboard as part of the "Amazing in motion" series. McCann Japan creative planner Shun Matsuzaka developed an AI creative director in 2015, but the clients had to be involved by first filling in a form designed for the algorithm. 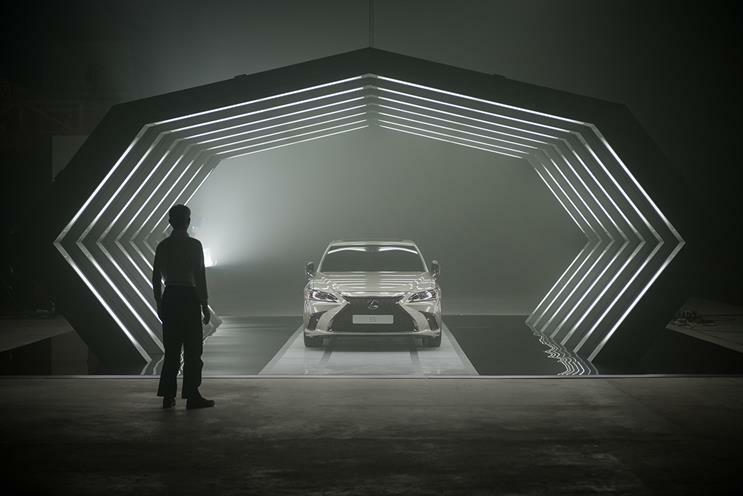 Read about the making of the new Lexus advert here.